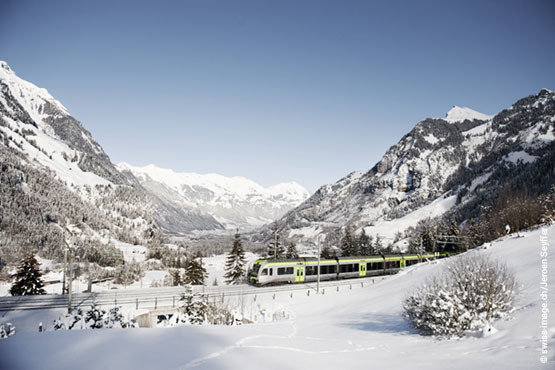 A fascinating train experience through the Swiss Alps. 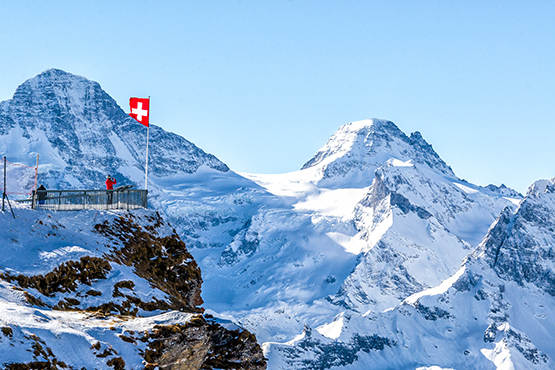 Ride in the first ever revolving gondola up to Mount Titlis and enjoy the mesmerizing views of the alps. On your 3rd Day you will travel onwards to Interlaken – a mountain village admired by many because of its alluring location between two beautiful swiss lakes, you will travel onwards by train up to the highest railway station in Europe, the Jungfraujoch. Step out of the train to be greeted by the fresh swiss mountain air, snowy peaks and a jaw-dropping view of the Aletsch glacier. 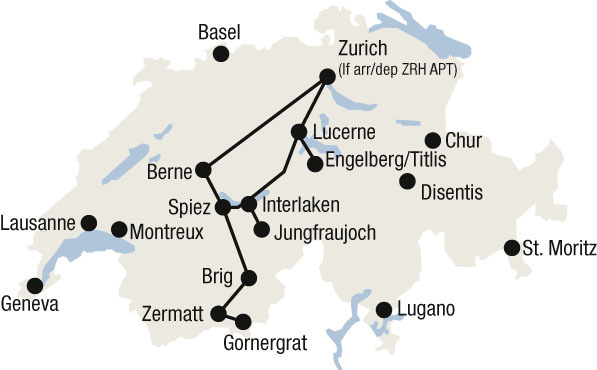 You will travel by train to Zermatt - the famous swiss skiing village Zermatt at the foot of the Matterhorn. 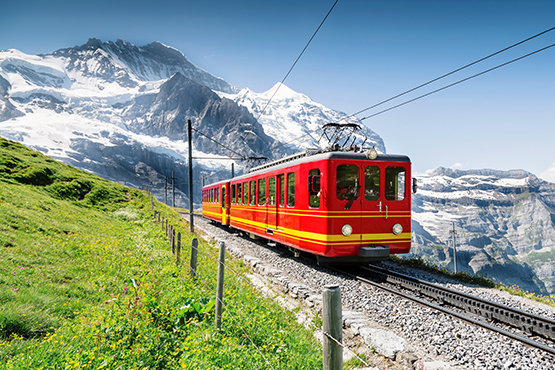 Board the popular Gornergrat Bahn, europes highest open- air cogwheel train, which will take you up to the Gornergrat at 9'339 metres of height.